Wondering which iPad is best for you? This iPad comparison guide will help you decide. When someone mentions tablets, there's a good chance you think of the iPad. While it wasn't the first tablet, the release of the original iPad in 2010 marked the debut of what would be the first truly consumer-accessible, popular tablet computer. Since the initial model, Apple has continued to improve upon the original design and the history of the iPad now includes 17 releases. Today, there are 5 models on sale new from Apple. So how do you know which one is best for you? In this guide, we'll outline the different options available and compare the full iPad range to help you find the best fit for your needs and budget. Apple currently offers 5 different models. While not officially split, they can be grouped into two lineups of sorts. The consumer lineup includes their more basic iPad tablets, while the Pro lineup features higher-specs -- and higher price tags to match. There are slight differences in each model's design -- especially between the Pro models and the rest. They also get larger -- and more expensive -- as you go down the list. The iPad Mini 4 is Apple's base model, offering the smallest screen size and lowest specs. It also is one of the only iPad on sale from Apple that doesn't support the Apple Pen. However, it's perfectly capable of running most apps, playing games, and streaming HD video with no problems. It's also the most affordable option in the lineup. For many, we think the iPad 9.7-inch is the best iPad for most buyers. It has a sharp screen, plenty of storage, supports the Apple Pencil, and has performance that will make most buyers happy. It's even capable of using heavier photo or video editing apps and playing the latest games at respectable settings. While it doesn't have quite the detail and color accuracy of the Pro options, you get a very capable tablet at a much lower cost than the Pro lineup. The iPad Pro 10.5-inch is in an odd spot at the moment. As the older of the Pro devices, it features the older design with a fingerprint scanner, home button, and larger bezels. But the price difference between the iPad Pro 10.5 and the iPad Pro 11 isn't much. So if you're looking to give the Pro series a try, we'd recommend jumping for the iPad Pro 11 if you can afford it. It offers ProMotion screen technology that dynamically adjusts the display's refresh rate to keep motion fluid and snappy alongside TrueTone color adjustments that alter the temperature and color of the display based on ambient lighting. Both features give the screen a little bit of extra pop that sets it apart from the crowd and makes it perfect for video editing, photo editing, and other more graphics-intensive work. But for the average person, they're not must-have features. So a lower-end model is likely a better value. At the top of Apple's lineup, you'll find the iPad Pro 12.9. It's identical to the Pro 11 in terms of specs, but adds a little extra screen size and possibly 2GB more RAM. It also starts at nearly three times the price of the iPad 9.7. It's the top-shelf iPad -- and has the price point to match. Want a deeper comparison of iPad models? Now that you know the options available, you need to figure out which iPad model fits your needs best. There are a few things to consider when comparing Apple's iPad series of tablets. Apple's iPad options cover a wide range of prices. You can get a basic iPad Mini 4 for a few hundred dollars. But the iPad Pro 12.9 hits four-figures with no problem. So take a look at how much you want to spend to start limiting your choices. Then you can see which features are important to you and narrow things down accordingly. While iPad Pros are certainly some the most powerful and refined tablets ever created, many reviewers argue that they are actually overkill for the average consumer. Most reviewers recommend the iPad Pro 10.5, iPad Pro 11, and iPad Pro 12.9 for graphic designers or business professionals that need a tablet for work and plan to use their tablet often. They offer powerful performance for resource-intensive tasks and an accurate display for those doing color-sensitive work -- such as photo editing or design. Otherwise, both the iPad Mini 4 and iPad 9.7 offer more than enough performance for playing the latest games, surfing the web, watching video, streaming music, or just about anything you might want to do. And the lower-end tablets still offer Retina displays -- there's just no ProMotion or TrueTone. However, Apple is known for the quality of its displays. So while the screens on the iPad Mini 4 and iPad 9.7 aren't the best that Apple has to offer, they're still better than a large portion of Android tablet displays and are excellent in terms of brightness, detail, and colors. If you're looking for an ultra-portable option, the iPad Mini 4 is hard to beat. It's large enough to read and operate with ease, but small enough to slip in a bag and use one-handed -- something that can't be said for the iPad Pro 12.9. Choosing an iPad model with LTE connectivity will add to both the purchase cost and the lifetime cost as you pay each month to keep your data plan connected. But is it worth the added price? The answer will depend on where you live and how you plan to use your iPad. With free Wi-Fi available in more places, you might not need LTE support as much as you'd think. But if you want the convenience of being able to connect virtually anywhere regardless of Wi-Fi access, you'll need to make room in your budget accordingly. Since you cannot expand the storage in an iPad, it's important to choose a good amount before you buy. Thankfully, all iPads offer at least 32GB of storage and some models -- such as the iPad Mini 4 and iPad Pro 11 -- start with more. This is probably enough storage space for casual use, but if you want to install a lot of apps or plan to store music or video on your tablet, choosing a model with more storage will offer added flexibility and keep you from having to rely on cloud storage or constantly uninstall apps to make room for new ones. On top of the base tablet costs, you should also consider the added cost of any accessories you might need. Most models support the Apple Pen -- an active stylus that allows you to use the tablet for graphics work, hand-write notes, and general expands the functionality of the tablet. However, the newer iPad Pro 11 and 12.9 support the newer 2nd generation Apple Pen, while the older iPad Pro 10.5 and iPad 9.7 only support the 1st generation Apple Pen. There is also a keyboard folio case and stand that allows you to type without dealing with a touchscreen. Most of these accessories are available for every model but the iPad Mini 4. However, they add to the final total of your iPad purchase. If your budget is limited, it would likely be a better deal to spend less on the tablet and bundle in a few accessories than buy the highest-end tablet but go without them. They can really make a big impact on how you use your iPad. Picking the ideal option for your needs will depend on your budget and how you plan to use your new tablet. For most people, the iPad 9.7 (2018) will be the best option. For a fair price, you get excellent performance, a good display, and the rock-solid iPad experience that has made these tablets so popular. Sure, it's a little behind the iPad Pro series, but the price is significantly lower and the specs of the iPad 9.7 are still more than enough to handle most tasks with ease. The screen is large enough to make games and media pop while remaining comfortable enough for extended use without a kickstand or shifting it from hand to hand as well. If you plan to use your tablet for graphic design, video editing, or other color-sensitive work, we might recommend upgrading to an iPad Pro 11 or 12.9. Otherwise, the iPad 9.7 is likely to cover all of your needs with ease. The iPad 9.7 strikes the perfect balance for most. It's great for everything from playing games and checking email to streaming video and chatting with friends. All at a price toward the lower end of the iPad lineup. The iPad Mini 4 is a great choice for the budget-conscious buyer (or when buying a tablet for kids that might be a little rough with their toys). It's also affordable enough for those that only want a tablet for occasional use. Its smaller display makes it perfect for tossing in your back, reading on the plane, and generally bringing it along with you on your adventures unlike some of the larger options in the iPad lineup. Despite being the entry-level option in Apple's selection, it is no slouch in terms of performance and still features the same upscale iPad design for which its pricier siblings are known. The iPad Mini 4 is proof that low-end options don't have to feel cheap. It brings an excellent balance of affordability and portability that keep it one of the most popular options in Apple's lineup. The Apple iPad Pro 11 is the cheapest option for buying into the latest generation of Apple's premiere tablet series. The screen isn't just larger than the iPad 9.7 (2018) but it also includes ProMotion and TrueTone -- two technologies designed to improve the smoothness of motion on the screen and optimize the color based on your surroundings. The A12X Bionic processor offers enough power to handle anything you throw at the tablet with ease while the larger display makes it ideal for doing more productivity-oriented tasks, such as word processing, image editing, and checking large amounts of email. Of course, the tablet can play just as hard as it works, so if you're looking to play the latest mobile games at full settings, the iPad Pro 11 has you covered there as well. And the four-speaker audio array offers a listening experience for music and video that you won't find on any other tablet -- except for the larger iPad Pro 12.9 which features the same speakers. The iPad Pro 11 is the sweet spot in Apple's 2018 iPad Pro lineup. It offers a larger screen with the best tech that Apple has on offer at a price less than the even larger Apple iPad Pro 12.9. The Apple iPad 12.9 is the pinnacle of Apple's 2018 models and has a price tag to suit it's standing. However, if you're looking for a tablet specifically for graphics or video work -- or simply want the best that Apple has to offer -- the tablet delivers an experience unavailable anywhere else. The 12.9-inch display offers plenty of room to work on complex tasks, such as graphic design or video editing, while the TrueTone technology delivers accurate colors suitable for professional work. The A12X Bionic processor keeps load times snappy and ensures plenty of power for everything from gaming to encoding. There's even a four-speaker audio array to keep tunes pumping while you work or let you enjoy a movie or gaming session after work. And, with up to 1TB of storage available, you can ensure all of your work files are always at hand. Though there's always cloud storage should you need more space or want to backup your work or data. The iPad Pro 12.9 really can replace your laptop as Apple claims -- as long as you don't mind the limitations of iOS on your daily work or play device. If you've never used an iPad, you probably have a few questions -- or at least expectations -- of how things work and which iPad to buy. Can I add more storage to my iPad? 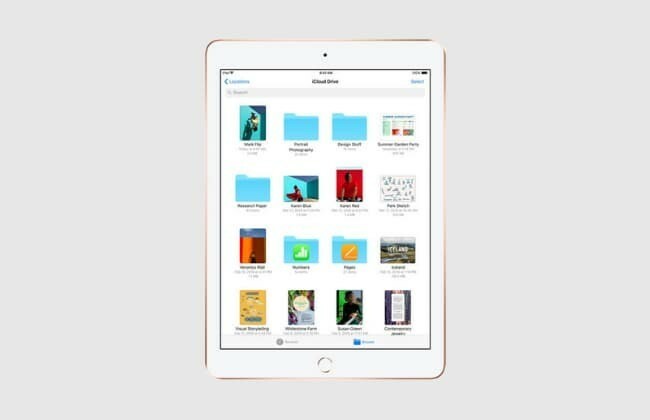 While many Android tablets will let you add microSD cards or even connect USB hard drives to expand storage or transfer files, iPads limit you to the internal storage of the tablet. This means it's very important to choose a model that will store everything you need unless you want to spend time uploading and downloading files from cloud storage or uninstalling apps to make room for new ones. Can I share my iPad with other people? While you can unlock your iPad and hand it to your friend or child, iPads only officially support a single account per tablet. This means you cannot give your kids access to your apps or let your friend check their Facebook feed without also possibly allowing them to access your apps and personal information. Do I have to pay more to use mobile data with my iPad? Yes... even if you buy a model with LTE support, you'll still need a tablet or data-only plan to use the feature. Fortunately, most of these plans are cheaper than the monthly plans you use on your phone. However, some providers will require you to have a mobile phone plan along side your tablet or data-only plan before you can access the cheaper tablet data rates. What color of iPad should I choose? While this is partly a matter of preference, there are a few reason to consider the various color options in the iPad lineup. Some reviewers note that the white bezels of the lighter colors make it easier on the eyes for frequent web browsing or reading while the black bezel of darker colors make the screen feel larger when viewing movies or tv shows and playing games. Of course, if you get an iPad Pro with it's tiny bezels, this is less important. Lighter iPad colors -- such as white or silver -- are more prone to smudges and scuffs but darker iPad colors -- such as black and space gray -- are more prone to scratches and fingerprints. Finally, darker iPad colors tend to have higher resell values as they're more popular. So if you plan to upgrade in a year or two and want to maximize your trade-in or sell your old tablet to fund your new one, black and space gray are best. What about a used or refurbished iPad? Used and refurbished iPads are a great way to save money as long as you buy from a reputable vendor. Apple even offers refurbished iPads on their website. While they're one of the higher-priced options, you can count on solid support and high-quality refurbishing. You can also check online classifieds, eBay, Amazon, or used electronics sites. For a full list of options, check our used phone buying guide. While it's geared toward phones instead of tablets, many of the sites listed there also sell tablets and other electronics and have a reputation you can trust. 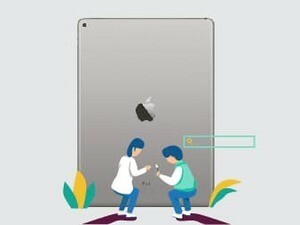 Can I give an iPad as a gift? Yes. However, they will need an email account -- or will need to set up a new email account -- to setup the tablet once they receive your gift. There is currently no way to buy an iPad as a gift and have it arrive from Apple setup for another person. However, most people will still appreciate your generosity, even if it still needs a bit of setup when they unwrap it. Are there parental controls on the iPad? All Apple devices offer a comprehensive suite of parental control options to help you manage usage if you're giving an iPad to a younger member of your family. You'll need to set these features up before you hand over the iPad. However, you can setup passwords to keep settings in place and ensure your kids are using their tablet in ways you approve. For more information, consult Apple's Parental Controls guide. Should I get Apple Care or Insurance for my iPad? This is largely a matter of preference. However, Apple Care tends to be a decent value if there is any chance you'll drop your tablet. Not to mention that the larger screen and increased weight means tablets are more prone to damage when they fall than other mobile devices. For more information on insurance considerations, check our cell phone insurance guide. While it's geared toward phones, the information applies to tablets just as well. Can I Use a Mouse or Keyboard with an iPad? Tablets are great for work processing and other productivity tasks, but if you prefer a physical mouse and keyboard over touchscreens, you might find tablets a bit odd to use. Taking care of the keyboard concern is simple. Just buy one of the official iPad keyboards from Apple or pick up any Bluetooth keyboard with iOS support. Then you just need to pair it like you would any other Bluetooth device. Unfortunately, you cannot connect a mouse (Bluetooth, USB, or otherwise) to an iPad unless you're willing to jailbreak your tablet. This is because iOS does not natively support a cursor. We won't cover the information here because it's quite in-depth. But if you're comfortable with your abilities, a quick Google search should offer the steps for the jailbreaking and mouse pairing process. Should I get the Wi-Fi model or upgrade to LTE? This is mostly a matter of personal preference. As free Wi-Fi is easier to find these days, having LTE on your tablet isn't quite as important as it once was. However, if you're in an area where Wi-Fi is sparse, LTE connectivity might prove useful. Just keep in mind that it will add to the total cost of your tablet to keep your data connection running. As one of the first mainstream tablets ever made, Apple's iPad lineup continues to dominate the tablet market. However, when you get to the upper-end iPad models, prices increase quickly. So knowing what you need in a tablet and the differences between the various models are essential to finding a good fit -- both in terms of features and value. If you're looking for a tablet for occasional use or use on the go, the iPad Mini 4 is an excellent option. The iPad 9.7 fits most other consumer use cases with no problems. If you need a tablet for work, the iPad Pro series offers performance and displays that other tablets simply cannot touch. P.S. Looking for tablet options for your kids and find Apple's prices a little high for your liking? We've rounded up a list of highly-ranked, affordable tablets for kids that won't leave you waking up from nightmares of cracked screens and replacement fees every night.